Currently selling for Php 5,990 in major malls across the country, Samsung Galaxy Tab 3V is the most affordable quad core Android tablet in the Korean company's 2015 product line-up. 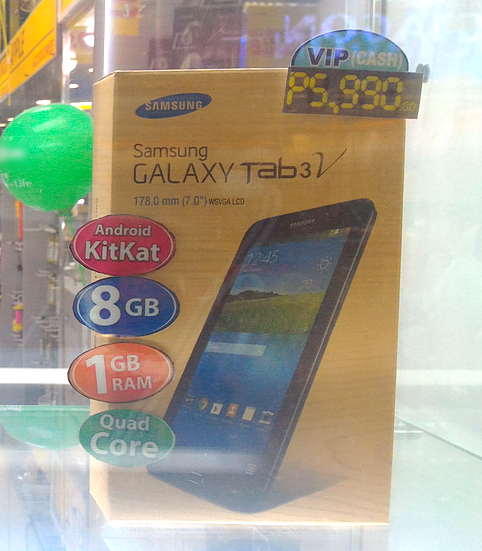 The slate looks a lot like the best-selling first-generation Galaxy Tab from 2010, which sold for Php 34,990 (I know!) - if you still remember that. This latest version, however, is not only a lot more affordable but is also slimmer and lighter, making it a better mobile companion, at least, when it comes to portability. To be specific, it weights only 322 grams and is just 9.7 millimeters thin. The tablet flaunts a very simple design identity, lacking metallic accents found on more expensive models. The shell - including its side frame - is made entirely of polycarbonate and the faux leather texture on the back plate is the only thing that makes the device look and feel somewhat interesting. 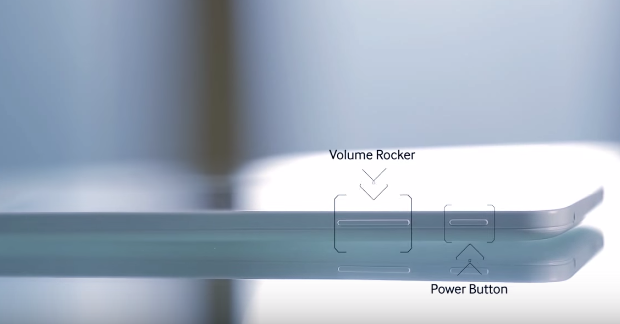 Both the volume rocker and the power button are located on the left side, near the top, which I like since it's harder to click on them accidentally while using the Tab. 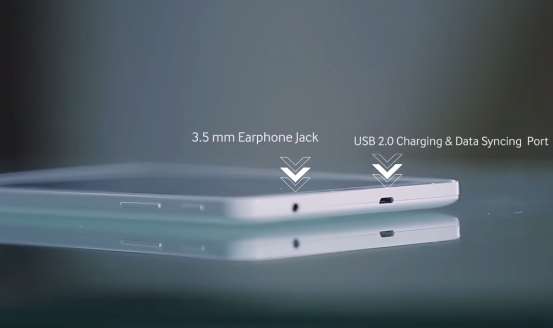 On the top panel, you'll find the 3.5 mm audio jack and the microUSB 2.0 port for charging and syncing your data with a computer. Samsung Galaxy Tab 3V is equipped with a 7-inch 600 x 1024 pixels TN display panel framed by rather thick bezels, which I see as a generous space where can rest my thumbs while using the device. This screen is obviously a tad small for a tablet but is way bigger than what you'll get on a phablet or smartphone. Whatever the case, it's certainly large enough to allow you to enjoy your favorite content without squinting. You get two fixed focus cameras. 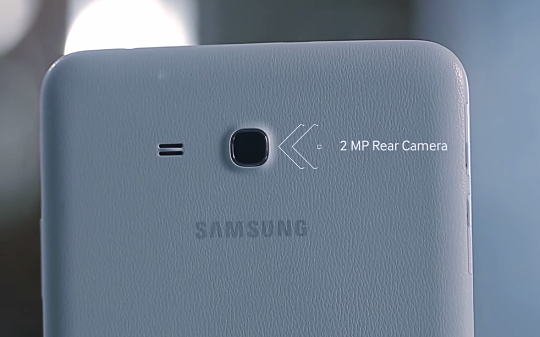 A 2 MegaPixel shooter at the back. And a 2MP cam in front for selfies and groufies with your friends. Both of which also support 480p @ 24fps video capture. 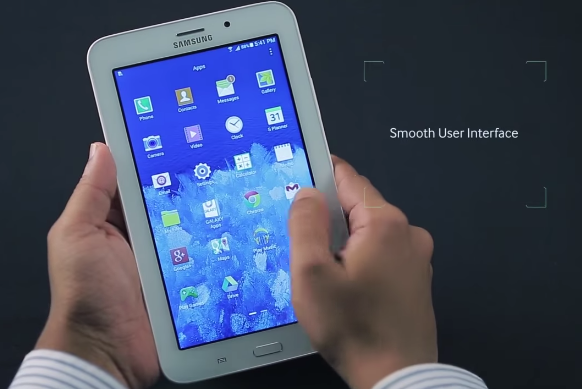 At its heart, Samsung Galaxy Tab 3V runs its TouchWiz-flavored Android 4.4 KitKat OS with a 1.3 GHz Quad Core Spreadtrum SC7730ST chipset (incorporating four ARM Cortex A7 cores and a Mali 400 GPU), handles multitasking with 1 GB of RAM, and has 8 GB of expandable internal storage. These are pretty standard for an entry level Android tablet this year and the combination of which should give users a fairly enjoyable touch and multitasking experience on the device. 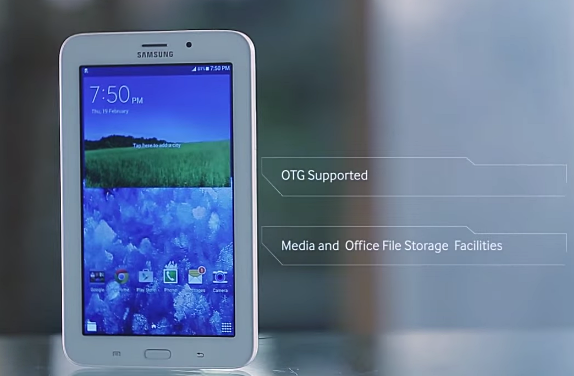 Powered by non-removable 3,600 mAh battery pack delivering around 71 hours of music play and 18 hours of talk time, Samsung Galaxy Tab 3V features USB OTG for quickly transferring files to a flash drive or for connecting supported devices to its microUSB port. The slate also has a microSIM card slot allowing the user to connect to the internet using mobile data and to use Tab 3V as a phone for making calls or sending text messages. 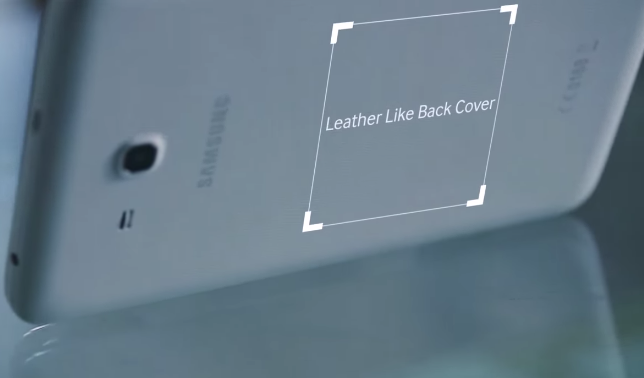 Is it the right device for you? 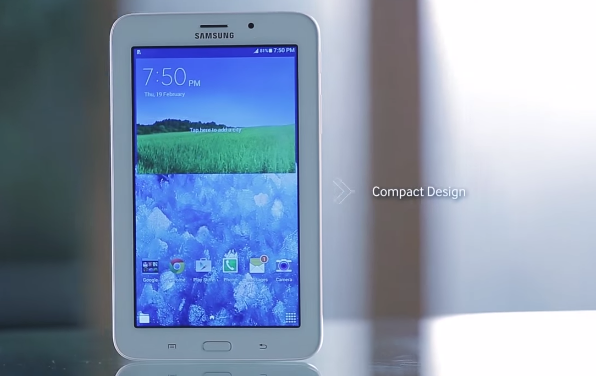 Like a phablet, the Tab 3V is a hybrid gadget. 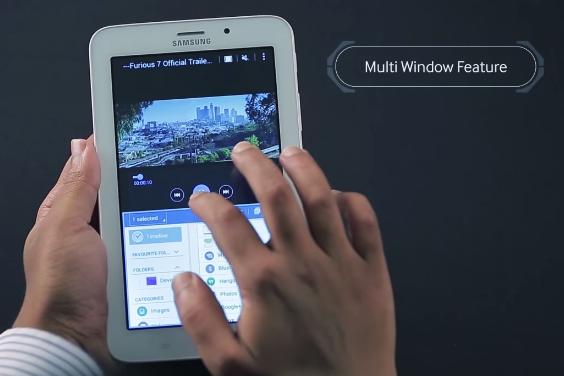 It's two devices wrapped in one package: A tablet and a smartphone. But whereas a typical phablet leans more to the smartphone side in terms of portability and size, this one is obviously more of a slate than a handset. If you're looking for a budget-friendly hybrid and you don't mind carrying a rather big device in your bag because you need that large display, I think Samsung Galaxy Tab 3V would be great for you.